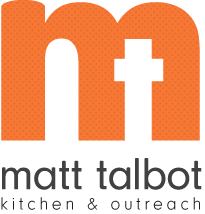 Matt Talbot is seeking a qualified, mission-driven individual to serve as the Director of Business & Finance. This position will be responsible for the overall management of the agency’s business/financial operations, IT, and administration of personnel related activities. This is a full time salaried position that offers excellent benefits in a team centered environment. This position reports directly to the Executive Director. The Director of Business & Finance should have a minimum of a bachelor’s degree from an accredited college or university with a major in business administration, public administration, or related field. He/She shall operate under generally accepted accounting principles and be responsible for the direction and oversight of all fiscal functions for the agency. Qualified applicants should have at least three years of management experience in those areas. Interested persons should send their cover letter, resume and completed application (found on our website-mtko.org) to Susanne Blue at Susanne.blue@mtko.org or PO Box 80935, Lincoln, NE 68501.